He or she has a single permanent disability evaluated as 100 percent disabling AND, another disability, or disabilities, evaluated as 60 percent or more disabling. 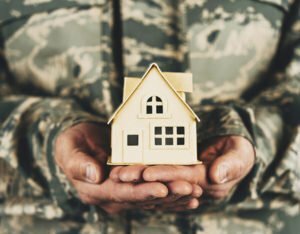 Regulations state that veterans cannot receive both Aid and Attendance and Housebound benefits concurrently, and they must be receiving a monthly pension in order to quality for either one of these additional benefits. If you’re wondering if your senior loved one may qualify for Veterans’ Aid and Attendance or Housebound benefits, the top rated home care company Santa Rosa, CA, Hired Hands Homecare, is always available to work with you to explore all your options for funding the in-home senior care you need. You can reach us at (866) 940-4343 or contact us online to learn more about the help available to veterans for paying for care at home.